Rep. Steve King isn’t letting anything like re-election campaign stop him from his apparent white nationalist mentality. The Republican Iowa congressman apparently shared his beliefs that European culture is superior to others, falling fertility rates in the West and that America and Europe are threatened by Latino and Muslim immigration to an Austrian far-right propaganda site, according to the Huffington Post. The congressman, who is favored to win his race next month, gave his comments during an interview with Unzensurient (which means “uncensored” in English) that ran last month and was uncovered by the Huffington Post. It also comes as King tweeted earlier this week he’s endorsing Canadian white nationalist Faith Goldy for mayor of Toronto. King and Unzensurient did not respond to HuffPost’s request for comment. Meanwhile, Roger Griffin, an expert on fascism and modern history at Oxford Brookes University told HuffPost that the interview “reveals a whole new level of reality” about King’s politics. 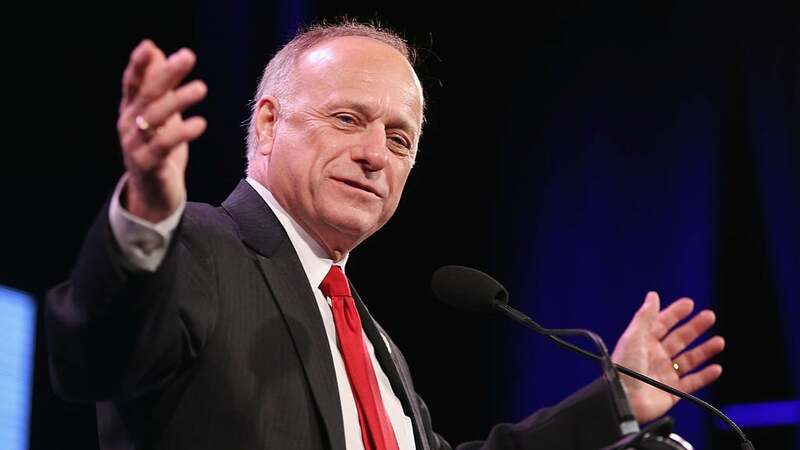 But King is well ahead and poised for a ninth term as congressman.